Ultra Goodnight with Wings. Menstrual flows vary depending on whether you are lying down, standing or sitting (fluids can flow along your body and leak through your underwear when you´re lying down). 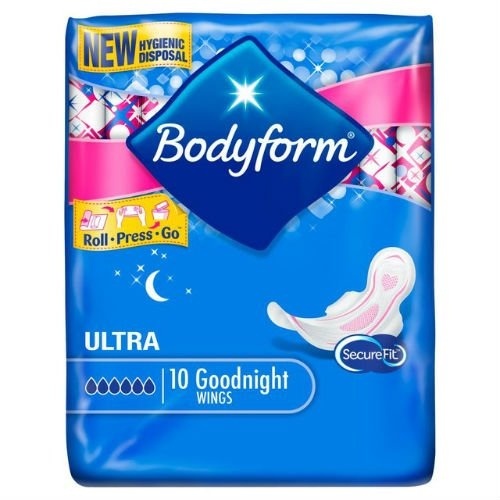 New Ultra Goodnight is designed with women in mind and has a specially shaped front and back to fit your body perfectly. It is longer and has wings to keep it in place, even if you toss and turn in your sleep. And because confidence is everything, the new DryFast technology and softer core instantly absorb the liquid, leaving you feeling fresh and confident.